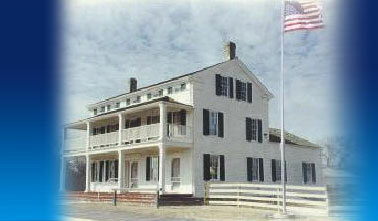 Founded in 1977, the Elmbrook Historical Society is an affiliate of the Wisconsin Historical Society. It currently has over 175 members who care deeply about preserving the history of Brookfield and Elm Grove and its historic buildings. 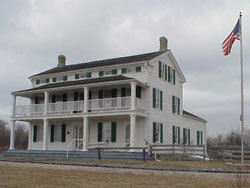 The Dousman Stagecoach Inn Museum is its main project. In these and many other ways, the Elmbrook Historical Society works to preserve the history of Brookfield and Elm Grove for generations to come. The Milwaukee home front during WWI and how the residents responded to the demands of the conflict. Wisconsin's has a remarkable musical past from native to emigrant peoples. Learn how the soundscapes were made, remembered and how they have changed. Volunteers are key to our success so contact us by email or phone and join today. July 7th, August 4th, (closed September 1st) and October 6th. All proceeds go to programming and the upkeep of the buildings. Reserve your place on the brick Memorial Walkway by the Visitor’s Center. Your brick purchase supports the Elmbrook Historical Society in its preservation efforts. These bricks make great gifts in honor of or in memory of someone. All proceeds from your support of this Memorial Walkway will help fund the historical society in our preservation efforts, events and education. a background for a work of art!